Brookfield Place is a mixed‐use development that replaces underutilized commercial infill parcels and to revitalizes an Oakland area with a shortage of affordable housing for families. The development is located on 1.6 acres, and it consists of 58 affordable family units with one‐, two‐, and three‐bedrooms for families and 2,440 square feet of ground floor retail. 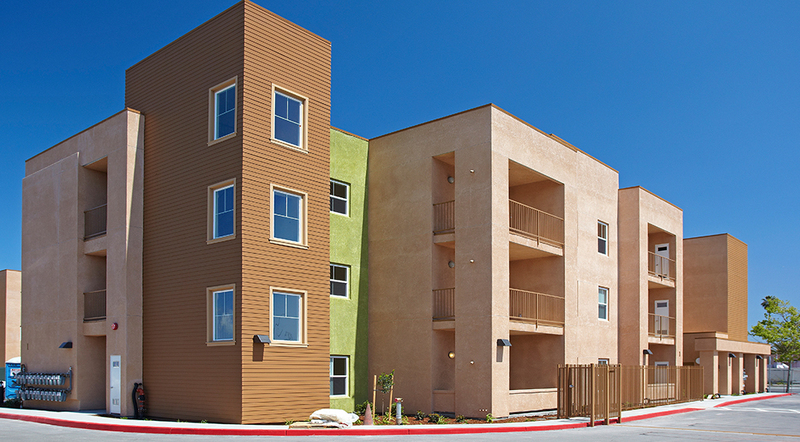 Construction is three levels of Type V wood construction with surface parking. Design is Title 24 +15% energy efficient. The development is conveniently located near an Alameda County Transit bus line, Ira Jenkins Park and Recreation Center, Brookfield Brach Library, Brookfield Elementary School, Albert J. Thomas Medical Clinic and grocery markets. 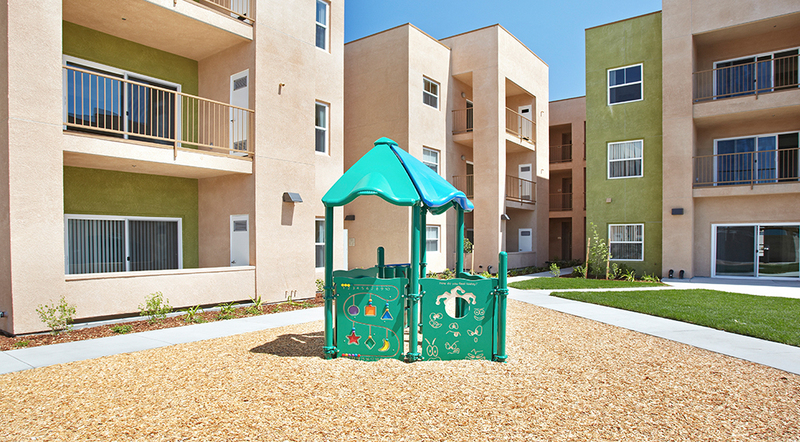 Onsite amenities include a children’s play area, central courtyard and 1000 square foot community clubhouse with a computer lab. The project was financed with an allocation of 9% Low‐Income Housing Tax Credits in 2007 and state Affordable Housing Program funds. Occupancy began in 2009.